Wine Enthusiast, the world’s leading periodical devoted exclusively to the wine lifestyle, recently awarded seven Naggiar wines 90 points or above in one monthly publication. In addition, three wines also scored Editor’s Choice, an award given to wines that merit special attention and offer excellent quality. So one might ask how does a small winery in the Sierra Foothills produce that many wines that receive that kind of recognition? In other words, what makes these kinds of awards “happen” for Naggiar wines on a consistent basis? 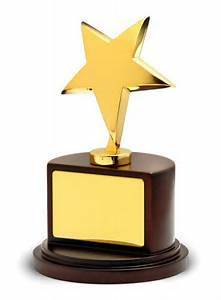 Well at Naggiar we believe there are reasons behind consistently receiving top awards in the Wine Enthusiast and major wine competitions. As owner Mike Naggiar explains, “There are three main reasons behind these awards-the first is that great wines start in the vineyards; you need exceptional grapes to make a great wine. The second is you need blending grape varietals; blended wines offer finer, more complex and nuanced wines. Last but not least you need an experienced and truly gifted winemaker”. Let’s start with Naggiar wines are made from estate grown grapes. 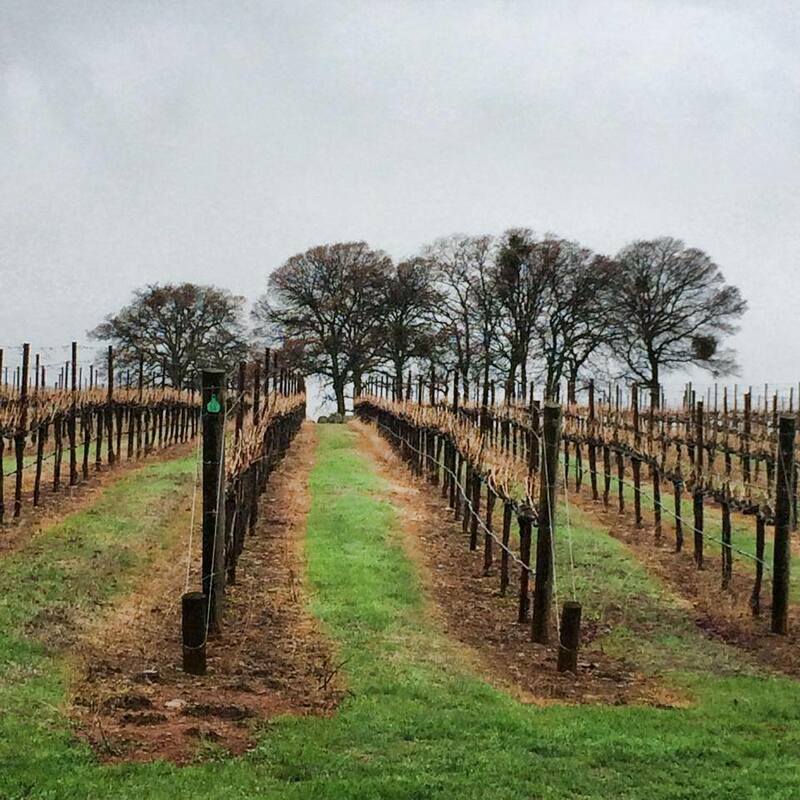 This means all the grapes used in our wines are grown on our own property and under our guidance at all times. Utilizing estate grown grapes is a huge advantage to buying harvested grapes or juice from an outside source. Every aspect of the vineyard is controlled, often on a daily basis, by the people making the wine. The vines need better pruning in the spring? Done. The grapes need more water on a sweltering July Sunday? Done. I think you get the point; helicopter parenting in the vineyards is crucial to making great wine. As proof, the three wines selected by Wine Enthusiast as Editor’s Choice wines are prime examples of the importance of exceptional grapes. 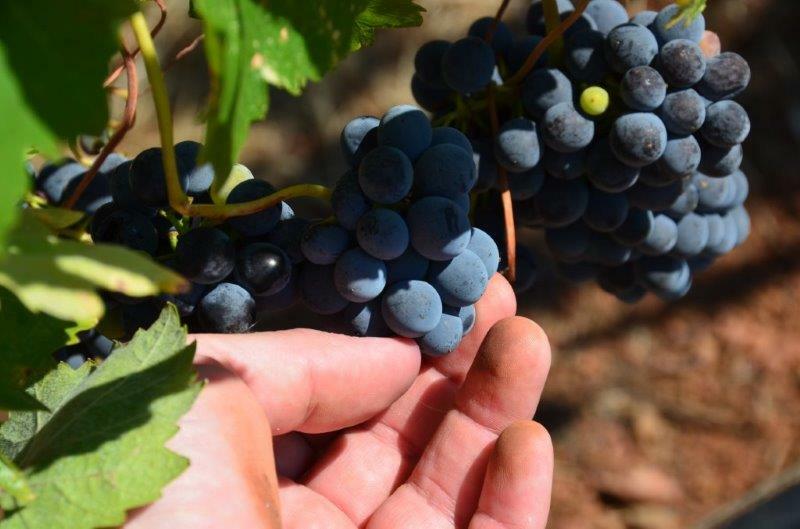 Sangiovese grapes loooooove the Sierra Foothills’ terrior found at Naggiar. We believe we grow the best Sangiovese bar none and the 91 points awarded to the 2013 vintage is strong evidence to support this fact. Follow that with the 2013 La Bete Noire (rated 92 points) and the 2013 Zio Luciano (rated 91 points) and you have three diverse wines that use exceptional grapes to produce a great wine. Let’s move on to the second key factor; blended wines make better more complex and nuanced wines. 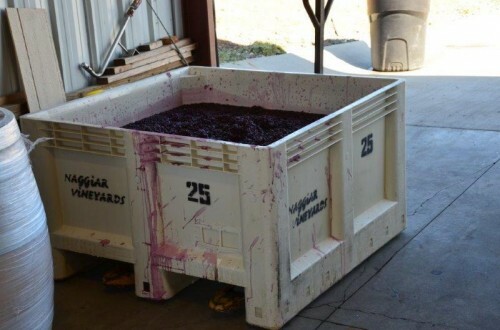 When blending grapes are needed, we’ve got them – all estate grown of course. Plain and simple, a wine without blending grapes is like a dish without spices. Sure, a home grown chicken is fine roasted on its own but,for goodness sake, add a little salt, pepper and olive oil! Add some thyme and a little rosemary -and now we’re talking! Not everyone grows the hard to find blending varietal wines. 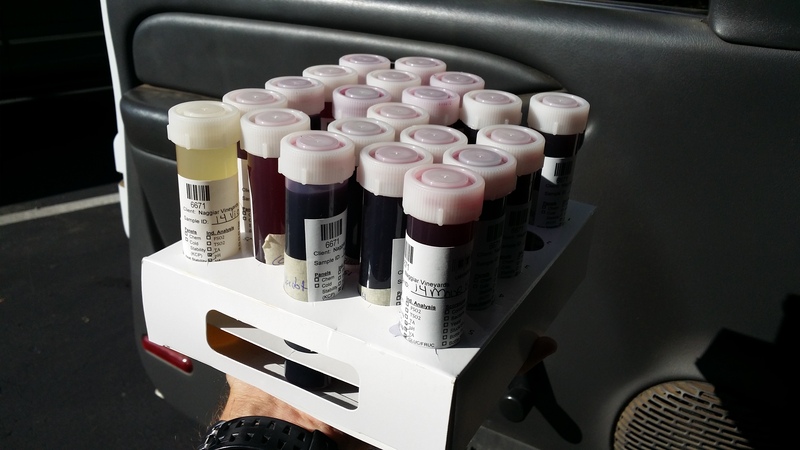 The hunt for quality blenders can be difficult,time consuming, and expensive. At Naggiar, because we started as grape growers, we’ve got many of the blenders wine makers long for. Varietals like Petit Verdot, Mourvedre, Malbec, Petite Sirah and Grenache flourish at Naggiar. As evidence of the importance of blenders, take a sip of our 2012 II Nonno, a Super Tuscan blend of Sangiovese, Cabernet Sauvignon and Petite Sirah (92 points), and you’re tasting the quality derived from blending. This is a complex and nuanced wine not only in taste,but aroma and ability to stand head and shoulder above single varietals. The traditional Bordeaux styled 2013 La Bohme, (90 points) utilizes our Petit Verdot in its blend. This hard to find blending varietal kicks it up a notch. A final example that may surprise you is our Reserve Syrah (91 points). This wine consistently wins awards and is a perennial favorite in the Tasting Room. Could it be the small percentage of Mourvedre that we add to our exemplary Syrah grapes that give this wine that certain edge? To illustrate the final key to making great wine, a question is in order. 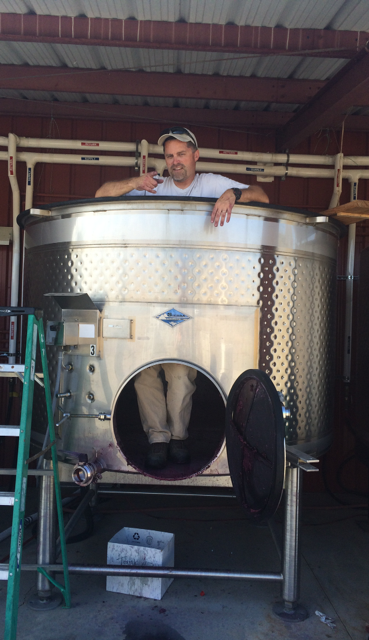 Is wine-making an art or a science? Simple answer is both! This means that you need a winemaker who is both a scientist and an artist. 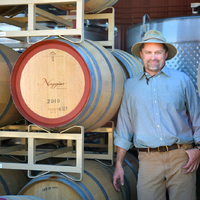 Naggiar has a terrific winemaker in Derek Irwin. Derek has a CV chock full of experience. 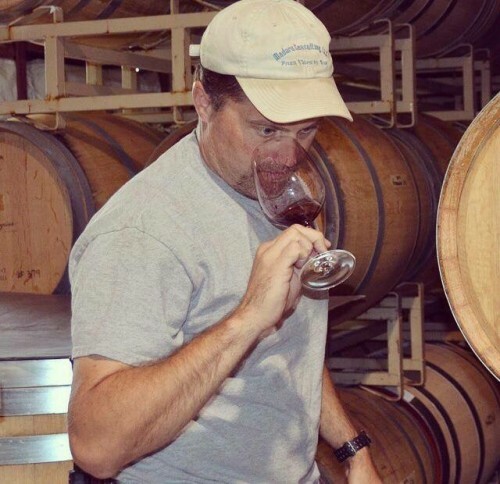 He is a UC Davis trained enologist, experienced winemaker and consultant, and all-around wine magician and creative soul. To be frank, he can be a bit of a geeky chemist sometimes but just as often he’s talking about creating dishes with pheasant and ditch chicken (don’t ask) to perfectly pair with a wine. Derek also has significant experience making Italian and Rhone style wines which is not typical of Napa trained winemakers. An example of Derek’s achievements is the 2013 Le Grand Pere (91 points) is an exquisite GSM – a traditional Rhone blend of Grenache, Syrah and Mourvedre – that not everyone attempts and does well. 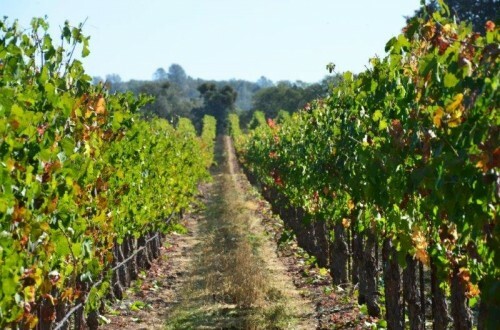 Derek’s familiarity with the Rhone varietals gives us the opportunity to step off the California Cabernet Sauvignon path and create an exceptional GSM wine. In summary, there is a trifecta of keys that make great wine. You need exceptional grapes. You need to be open to blending varietals to enhance a wine, even single varietal wines. You need to find yourself an excellent winemaker. Utilizing these keys in a deliberate way allows Naggiar Vineyards and Winery to stand out and achieve ultimate success. To have your hard work and dedication recognized is very gratifying. After all, isn’t the proof is in the awards!